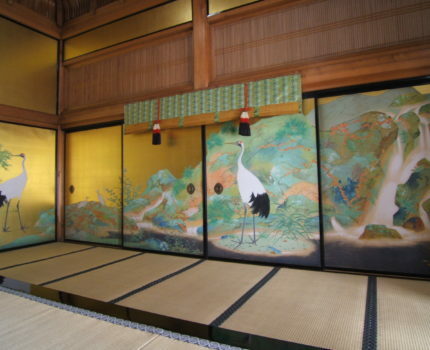 Artworks adorning the interior spaces of Buddhist temples in the form of murals and sliding doors have often been associated with the legacy of Japanese premodern art and religion. However, since the early twentieth century, an increasing number of artists have come to embrace historical temples as a distinctive public arena, alternative to public art exhibitions. While Dômoto Inshō (1891-1975) is mostly remembered as a representative painter in the Nihonga divisions of the annual Salon exhibitions, he was also one of the forerunners of Japanese modern temple architectural art. Often, these artists, including Inshō, have been sponsored by a group of temple art patrons, consisting of temple and sectarian institutions, businessmen, politicians, intellectuals of Buddhist culture and mass media in a manner comparable to, but also distinctive from the ways in which art professionals in the established art world have functioned as the shapers of masters and masterpieces of fine art. This paper examines this temple art patron network as the “sacred art world,” where its members commissioned, supported and evaluated temple art projects on the basis of their respective causes, which corresponded to the politics, society, ideologies, and visual and intellectual cultures in a given period of Japanese modern history. The focus of my examination will be the group of sliding door (fusuma) paintings by Inshō for Shōshibō, a reception hall built in 1934 at Kyōō gokokuji (Tōji) adjacent to its most renowned ritual space, Abhiseka Hall (Kanjōin), as a part of the temple’s commemorative events of the 1100th anniversary of the death of the Shingon sectarian founder, Kūkai. Yasuko Tsuchikane (Ph.D. Japanese Art History, Columbia University) is an adjunct assistant professor at Cooper Union in New York, and currently serves as a Robert and Lisa Sainsbury Fellow at the Sainsbury Institute for the Study of Japanese Arts and Cultures. She is an art historian, interested in exploring the social sectors outside of the established art world and the interrelationships between the two. Her current research includes the social networks dedicated to the production and reception of modern art in historical Buddhist temples, which resulted in her article, “Rescuing Temples and Empowering Art: Naiki Jinzaburō and the Rise of Civic Initiatives in Meiji Kyoto,” in Alice Tseng and Morgan Pitelka eds., Kyoto Visual Culture in the Early Edo and Meiji Periods: The Arts of Reinvention (Routledge, forthcoming). She is also working on a book project, Dōmoto Inshō (1891-1975) and the “Sacred Art World”: the Making of Modern Temple Art in the Twentieth Century. Another area of her studies concerns the intellectual discourse on ceramics in modern Japan as a part of its global cultural and political exchanges, a theme which she examined in “Picasso as Other: Koyama Fujio and Polemics of Postwar Japanese Ceramics” for the upcoming issue of Review of Japanese Culture and Society.